From today until March 17, The Blarney Stone restaurant will be hosting a variety of Irish-inspired events such as live musical performances, themed dishes, Celtic dancing and circus performances. In addition to family-friendly daytime activities, The Blarney Stone is also hosting nightlife events throughout the week and will be serving up a variety of Irish beers. You can buy event tickets in advance or reserve brunch seating by visiting their website. One of the largest St Patrick’s Day events in Vancouver, the 11th Annual St Patrick’s Day Parade will take place on March 15 at 11am. The parade will feature everything from Celtic musicians and local performers to Irish dancers and stilt walkers. For more information, you can visit CelticFest Vancouver’s website. 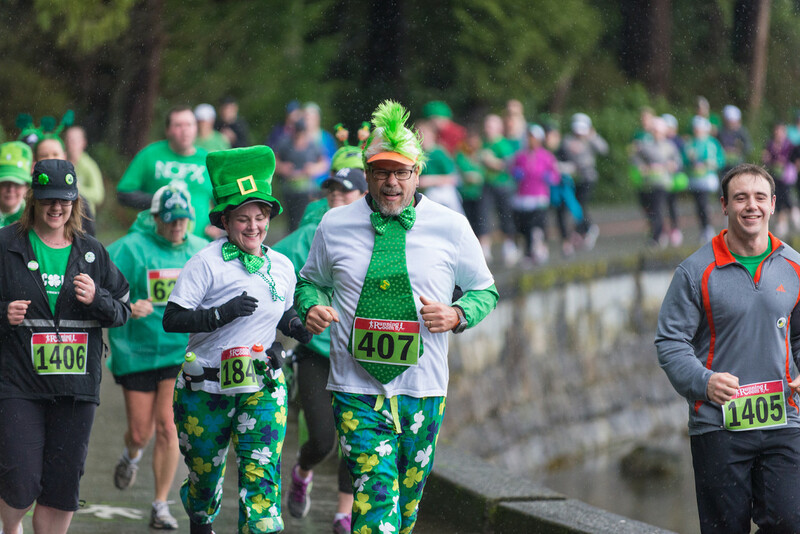 Kick-start your St Patrick’s Day weekend with a 5k race on Saturday, March 14. The scenic course of the St Patrick’s Day 5k Run loops around Stanley Park; finishing at Stanley Park Pavilion. After you cross the finish line, trade in your race bib for a complimentary beer glass. Runners are encouraged to dress up and prizes will be awarded to participants with the best costumes. You can find more race details here. From today until March 17 CelticFest Vancouver will be hosting an array of interactive events, including street performances, Celtic music and dancing. Be sure to browse the market for small treasures made by local artisans and sample the Irish fare. This free event is located on Granville Street and is a great day out with family and friends. More information can be found on CelticFest Vancouver’s website. Beginning at The Pint, the St Patrick’s Day “Shamrock” Club Crawl 2015 offers access to four of Vancouver’s nightclubs: the $25 ticket price includes a party bus between clubs, prizes, drink specials and more. Tickets can be purchased on the event page.